BARDHERE, Somalia - A senior member of the Al-Qaeda-linked Al-Shabaab militant group has surrendered himself to the Somali authorities in Gedo province on Friday, Garowe Online reports. 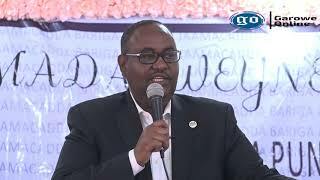 Isak Hussein Mursal, the governor of Gedo region confirmed to GO that Abdinur Moalim Hassan surrendered to the security officials in the Bardhere city after defecting from his group in a shock move. "Hassan has deserted Al-Shabaab and surrendered to Somali National Army [SNA], carrying with him AK-47 assault rifles, 6 pistols and large amounts of ammunition,” said Mursal. 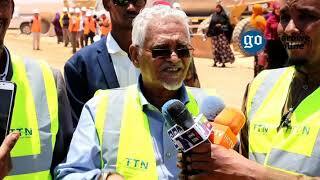 Al-Shabaab commanders were yet to react to the governor's claims. 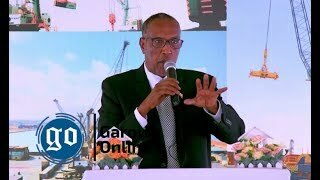 After receiving the defector, Mursal added that Somali government forces will welcome those ditching the group which is trying to topple the UN-backed Federal government. 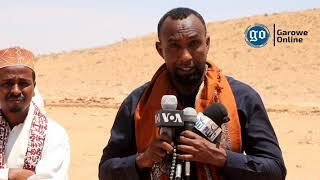 Last Thursday, a militant identified as Shuris Adam Dhinbil surrendered to Somali Government forces in Beled Hawo town in the same region, near Kenyan border. 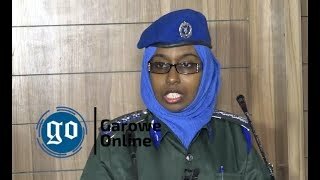 Dhimbil in his 20s has deserted from Al-Shabaab base in Kabis, 20 kilometers west of Garbaharey, the regional capital of Gedo province, according to local officials. The defection comes amid ongoing military operations by Somali and AU troops in parts of the country with an aim to wipe out Al-Shabaab fighters from their remaining pockets. Somali President Mohamed Abdullahi Farmajo in February 2017 has offered an amnesty to any Al-Shabaab members who renounce the jihadist ideology and violence. Barely two months after his inauguration, President Farmajo declared that the country was at war and urged citizens to support the national forces confronting the extremists.